With our supreme range of Kipor generators, life really does go on even when the power goes out. Kipor is well established as a global leader in the generator market, with our products being sold in more than 130 countries and regions throughout the world. 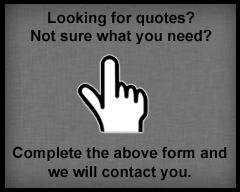 Contact us today and our experienced staff will gladly assist. Get it done once, get it done right. Kipor generators South Africa makes it easy to generate an immediate amount of power when consumption is beyond that of the available power grid. From 1 kVA to 3000 kVA, we will supply, install, and maintain the generator that best suites your requirements. The generator set that you require will be custom built to all your specifications and your requirements met with the professionalism and customer orientated attitude that has become part of Kipor Generator's core values. Our generator sets accommodate any requirements. Whether it's for homes, shops, offices, shopping malls or industrial applications, Kipor Generators will fullfill your requirements and then some. We are ready to design and develop a genset that meets all your requirements. We will supply a standalone power station or a standby backup generator. Contact us today for a Kipor generator quote.